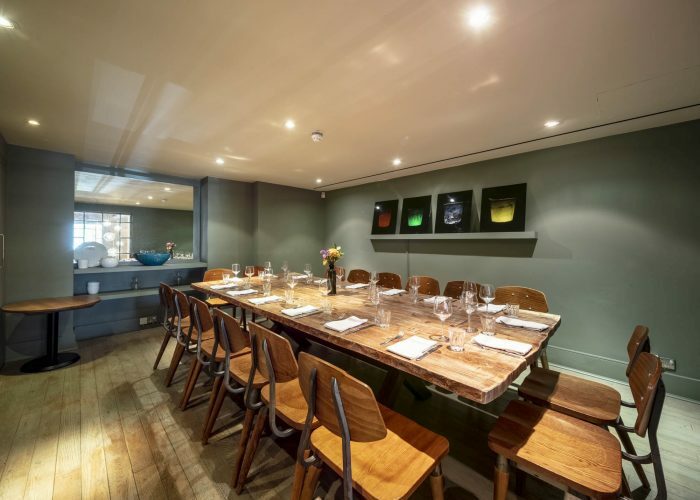 Private Dining Rooms at Radici - 30 Almeida Street, Islington, London N1 1AD. Thank you for your interest in Radici! 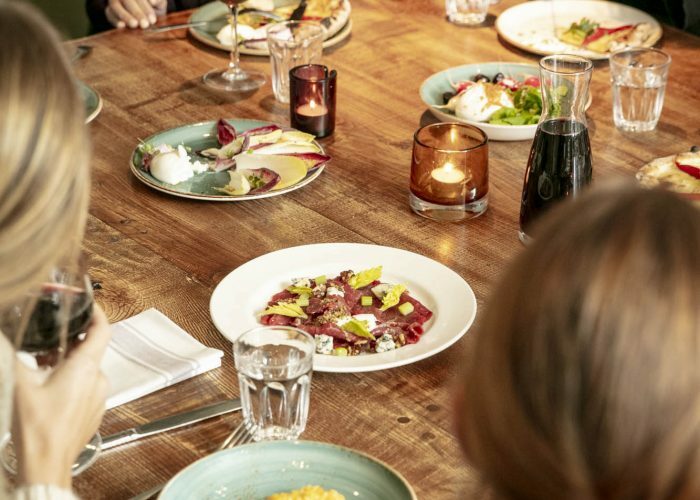 Located just off Upper Street, Radici is a family style authentic Italian trattoria. 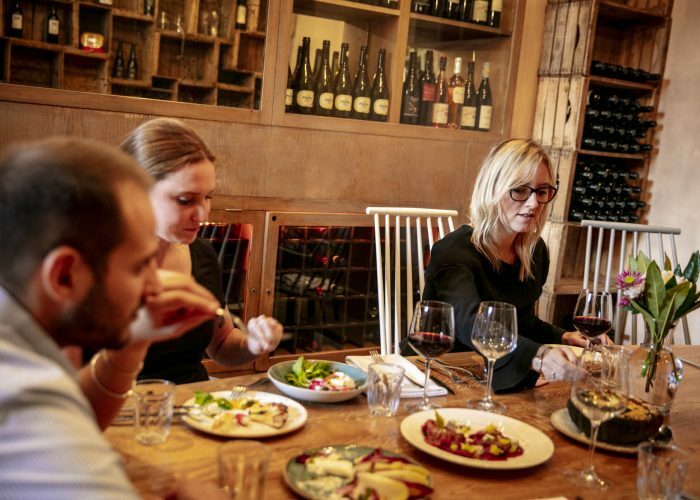 Boasting two stylish private dining rooms, Radici caters for all types of events and needs, whether you are planning a birthday, an engagement celebration, a business meeting or a drink and canapé reception to celebrate a special occasion. For a seated brunch, lunch or dinner, the stylish and intimate Private Dining Room can accommodate up to 16 guests for a seated meal. 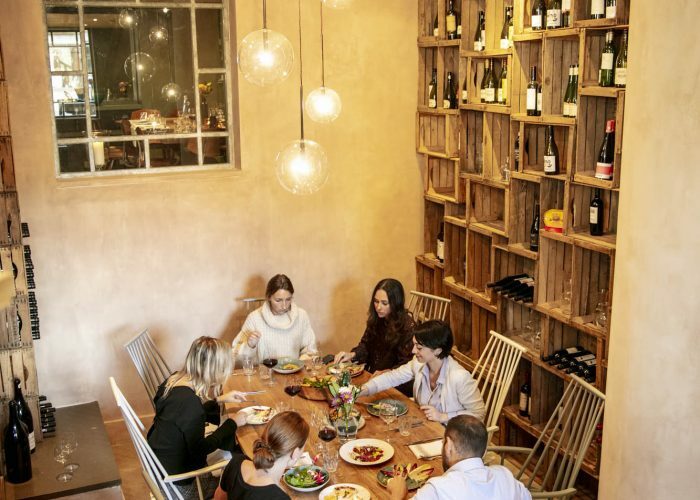 You will love the sage walls and the warm lighting of this room featuring a window over the wine room, allowing glimpses into the surrounding restaurant. 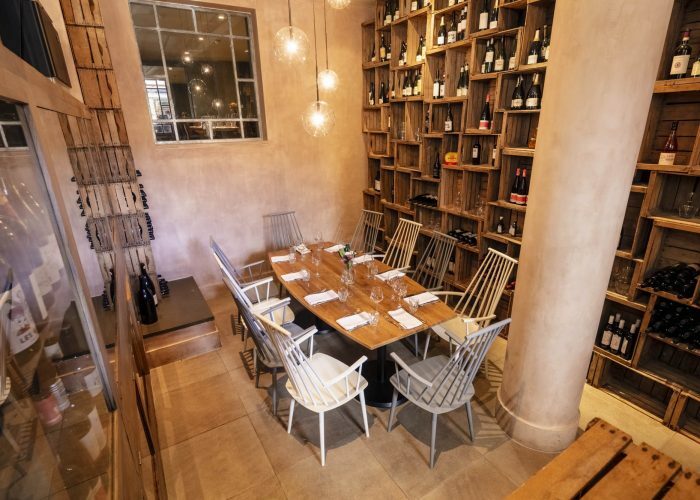 The cosy Wine Room accommodates up to 25 people for a standing reception and up to 10 guests seated. That semi private space will amaze you with a wall adorned with rustic wooden wine shelves and polished metal surfaces contrasted with welcoming warm amber lighting. 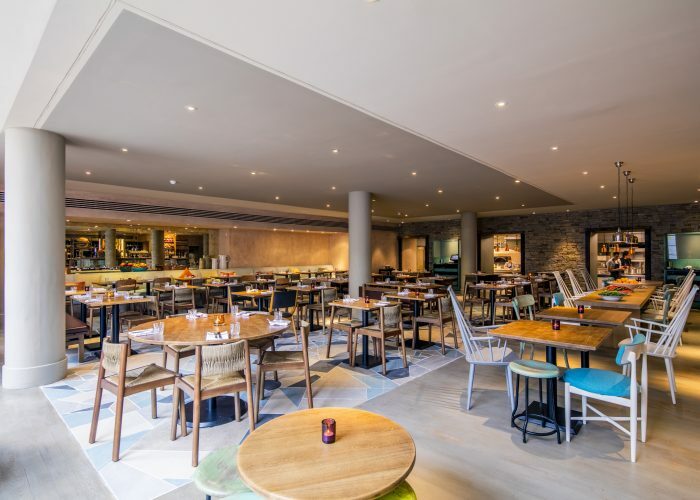 Radici translates as ‘roots’, a name chosen to reflect renowned Chef Patron Francesco Mazzei’s Southern-Italian heritage. 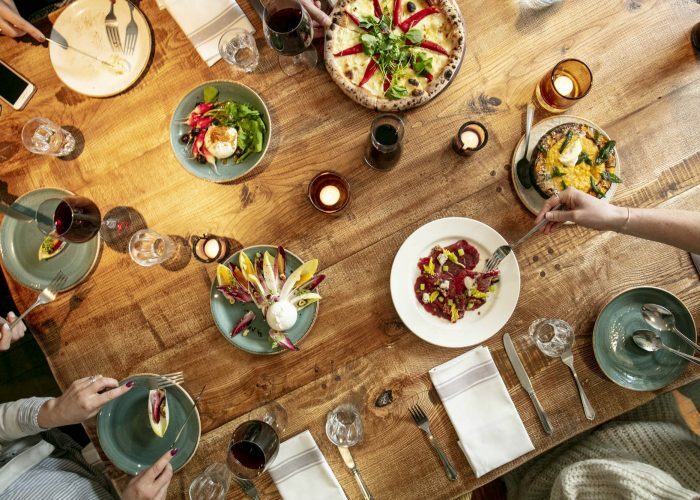 The space is all about clean organic shapes, natural colours, and the iconic Italian tuff stone, while hints of blue in the furniture and crockery run throughout. 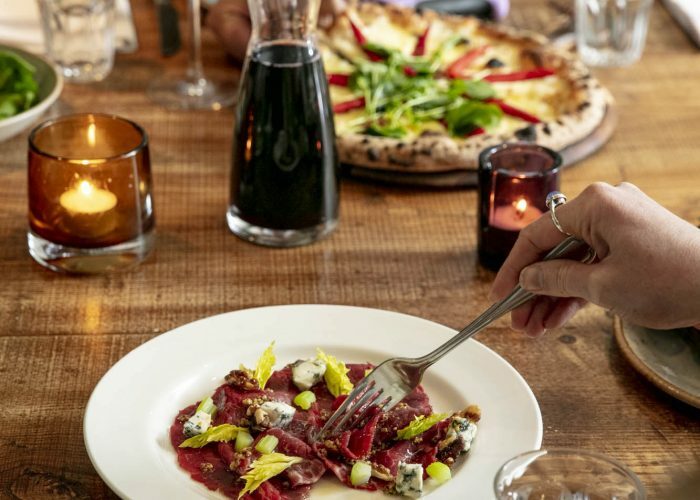 This understated design enhances the relaxed atmosphere and versatility of the space, with the main restaurant and bar leading on to the wine room, private dining room, open plan kitchen, and through to the al fresco terrace on Almeida Street.